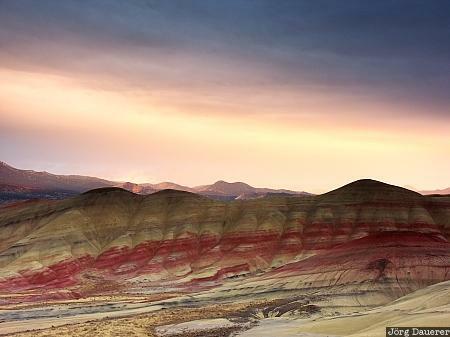 The Painted Hills of John Day Fossil Beds National Monument below a dramatic evening sky. John Day Fossil Beds National Monument is in central Oregon in the western part of the United States. This photo was taken in the evening of a rainy day in October of 2004. This photo was taken with a digital camera.